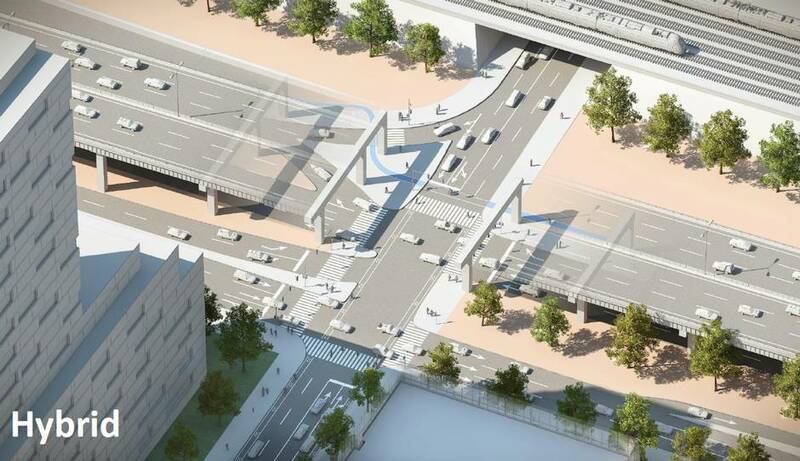 Imagine: Toronto is thinking of turning a stretch of a downtown road into an elevated highway. This project would speed the trips of a few rush-hour drivers by a few minutes. On the other hand, the highway would run through a new waterfront park, scar a neighbourhoood and eat up valuable land, costing the city another $137-million up front. It sounds crazy. And it is. Yet if Toronto rebuilds the east end of the Gardiner Expressway, this will be the tradeoff. This week, Mayor John Tory seems ready to lead the city, with misinformed arguments, into reconstructing the underused highway rather than tear it down. This would disrupt plans for a new district that would be, like the rest of the new waterfront development, walkable, dense, and prosperous – incurring huge financial and urban costs. This is why Toronto must change direction. The Gardiner East must go. In a time when Canadian cities are starved for infrastructure dollars, Toronto can’t afford to fund a project that will have a frankly negative impact on its future. This month, city council is set to decide how the future of the eastern Gardiner – and Toronto’s waterfront – will look. 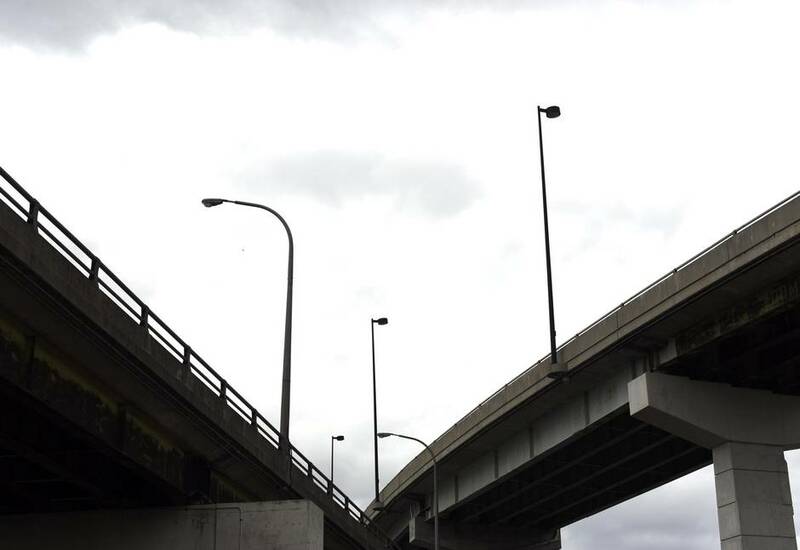 This is a series examining the city's most contentious highway. Find more stories, videos and photos, past and present, all series long here or at tgam.ca/thegardiner. >>Alex Bozikovic on why the Gardiner must come down. >>Elizabeth Church on how the Gardiner was the artery that connected her family. >>Oliver Moore looks abroad to see how others have handled life with an elevated expressway. 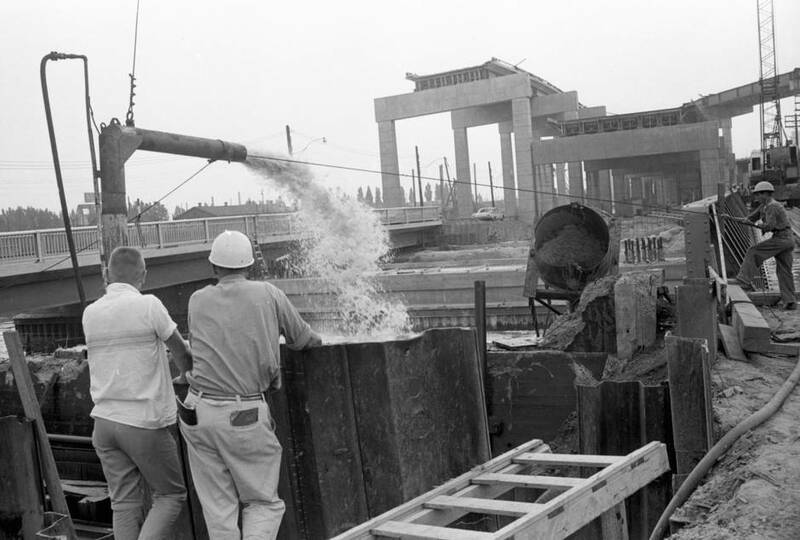 >>Photos: See the visual history of the Gardiner through The Globe and Mail archives, beginning with its construction. >>Video: The Gardiner in motion. So far the Gardiner East debate has been almost entirely about congestion. Yet how many people drive it? Just 5,200 cars per hour during morning rush hour, according to city figures. It’s a vanishingly small number, just 3 per cent of rush-hour commuters into downtown Toronto. Tellingly, when Mr. Tory spoke out for the so-called “hybrid” option – which involves essentially rebuilding the Gardiner East – he didn’t mention those piddling figures. He cited the economic cost of congestion in the Greater Toronto and Hamilton Area as “billions each year,” perhaps alluding to a study of the entire region of six million people in 2006. “No matter how much transit we get built … we are still going to have people driving around in cars and trucks,” he said recently. That is true. But nobody can say for sure what traffic in 20 years will look like, and whatever happens here – for 3 per cent of downtown commuters – will not meaningfully reduce congestion. Only new transit will. But the mayor wasn’t really making an argument; he was making a gesture of solidarity to drivers who feel besieged in a city where the roads keep filling up, to their frustration, with more and more people. On this issue, politics and good policy just don’t meet. A recent report to the city from Dillon Consulting presents clear-eyed arguments that point to tearing the highway down – but no conclusion, because it’s not certain “how stakeholders and decision makers might weigh the relative importance of the criteria.” In other words, the facts point one way; the politicians may decide to go the other. In fact, this week the city’s public works and infrastructure committee avoided making a recommendation, punting the issue forward to next month’s council meeting. The 'hybrid' versus 'remove' options as seen in city documents. So it’s not too late for some common sense. 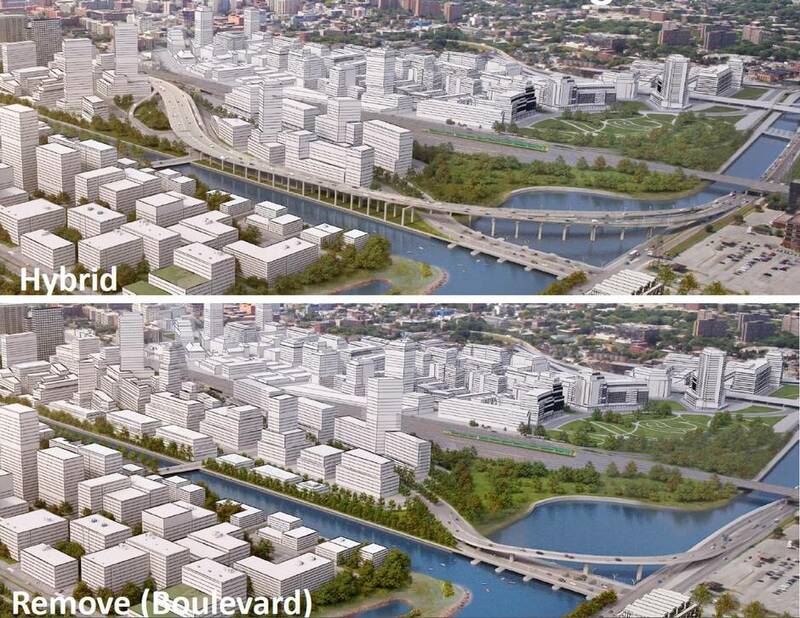 The right choice is clearly the “boulevard” option: ramping down the Gardiner East to merge it with an enlarged Lake Shore Boulevard as far as Jarvis Street. That new street, though heavily trafficked, would have trees, sidewalks and buildings on both sides. The urban design impact is unambiguously better. And cost-wise, there’s no debate: The hybrid option is projected to cost $919-million to build and maintain over 100 years; the boulevard is projected to cost $461-million over the same period. The traffic impacts would be small: According to a study for the city, drivers would be delayed an average of two to three minutes compared to the boulevard option. Industrial users of the road, who are few, might have to shift some deliveries to off-peak hours, when the Gardiner East and Lake Shore East are both nearly empty. In some places, even those effects would be embraced. The world cities that Toronto most wants to emulate are making it harder, not easier, to drive into downtown: London with congestion pricing; New York with pedestrianized streets and bike infrastructure. Why? Because the more roads you build, the more traffic you get, and the alternative, a more walkable, safer and more beautiful streetscape, pays financial and social dividends for everyone. Think of the best and most prosperous cities you have seen. Are they built around expressways? As the Danish planner Jan Gehl puts it, cities are for people, not cars. This is not a radical idea in Toronto. On the central waterfront, the public agency Waterfront Toronto is successfully building a lively, pedestrian-friendly cityscape. It has spent $1.5-billion creating new infrastructure and parks; the results, which most locals haven’t yet seen, are spectacular. That is creating value, not the productivity guesstimates of traffic studies but real money. Along Queens Quay East, developers Tridel, Hines and Great Gulf are investing $2.6-billion – in condos, and offices, university and cultural space, too. Few Torontonians understand just how successful this model has been. A decade ago, the city wanted jobs on the waterfront, and had to develop an office building, Corus Quay, itself. This spring, the developer Daniels announced a $700-million project across the street that includes more than 400,000 square feet of office and “creative industries hub” space. A look at the existing layout of Lake Shore Boulevard East/Gardiner Expressway at Jarvis Street. The hybrid option includes additional streetscaping and some development in the area. Are most of its workers going to be driving there from the suburbs? Of course they aren’t. Major employers know that their workforce increasingly cares about urban amenities, not parking and car access. This is precisely why downtown Toronto’s office sector is booming. And this is why developer First Gulf is in favour of new commuter rail connections to its site east of the Don River, which it wants to remake as a new office hub. Mr. Tory is a strong supporter of this scheme, together with his SmartTrack transit plan, and this week cited the project as a reason to support the hybrid option. But in fact First Gulf publicly backs either plan. You simply can’t move tens of thousands of people each rush hour by car. The same logic applies on the west side of the Don, where the city owns waterfront land – and where a group of developers, known as 3C, is eager to build a massive new project of its own. Five years ago, Waterfront Toronto commissioned a plan for this area, dubbed the “Keating Channel Precinct.” In it, some of the best waterfront is filled by the Gardiner. “We were making the best of a bad situation,” says the planner and urban designer Ken Greenberg, who was on the design team. But “taking the Gardiner down,” he says, “changes everything.” The city would get more land to develop – about seven acres more than in the hybrid plan, and in better places. Mr. Greenberg explains that with the hybrid, 10 blocks would be “squeezed” between the highway and the rail lines to the north – workable but grim – and a significant area of waterfront park would be literally under the highway. With the Gardiner gone, “you’re in the sun,” Mr. Greenberg says, with a public promenade along the water, and mid-sized buildings that face the channel with restaurants and shops. Toronto’s financial windfall would also look vastly different if the Gardiner were removed. A report for the city puts that difference at $137-million: $176-million for the boulevard option, versus $39-million for the hybrid option. This isn’t counted in the city’s financial analysis of the Gardiner because it depends, like the First Gulf project, on a massive reshaping of the Don River that’s not yet fully funded. It is likely to happen. And the additional property tax revenue would be in the tens of millions of dollars a year. Artist's conceptions from the Keating Channel Precinct plan. Then there is the 3C project. At the public works committee, developer Alfredo Romano spoke on behalf of the 3C consortium, which owns 14 acres, or about half, of the Keating Channel precinct. After three years of negotiation with the city and Waterfront Toronto, Mr. Romano said in an interview, they’re approaching a development agreement – and their design team includes the top local architects KPMB and architectsAlliance along with London’s Foster and Partners. 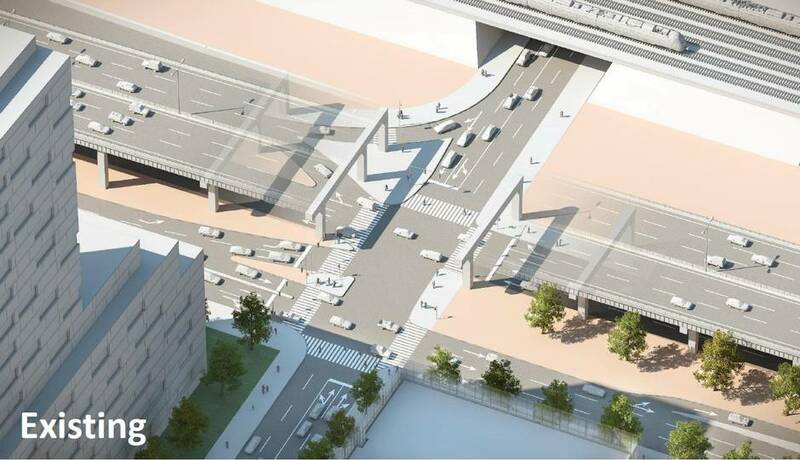 They’ve now seen the new hybrid Gardiner scheme, which was developed without consulting them, and it imagines new ramps for the Gardiner that are located on 3C’s land. Mr. Romano says these would make two acres undevelopable, and “seriously impact” another two. Their interests here align with the public’s: a walkable neighbourhood, without an elevated expressway, is much more valuable, and one day the thousands of Torontonians who live there will benefit. With the hybrid, Mr. Romano said, there will be a cost. The city values its own land here around $15-million an acre; he suggests the loss of development value for 3C could be “two or three times” that, for which it would seek compensation. In other words, if the hybrid plan goes ahead, the city could be in for a protracted and expensive argument. In this artist's conception, the green swath on the bottom-right is where the eastern Gardiner is currently situated. It’s remarkable that this project – well known to city staff – hasn’t figured into the Gardiner discussion. But are we building a city? Or a highway?